We all want to keep our smiles beautiful and healthy, and that means focusing on more than just our teeth. Our gums are essential for maintaining optimal oral health, so keeping them free of periodontal disease is vital. In today’s blog, we’re going to take a look at a widespread and serious oral health issue that impacts the gums of our patients in Hollywood, CA. 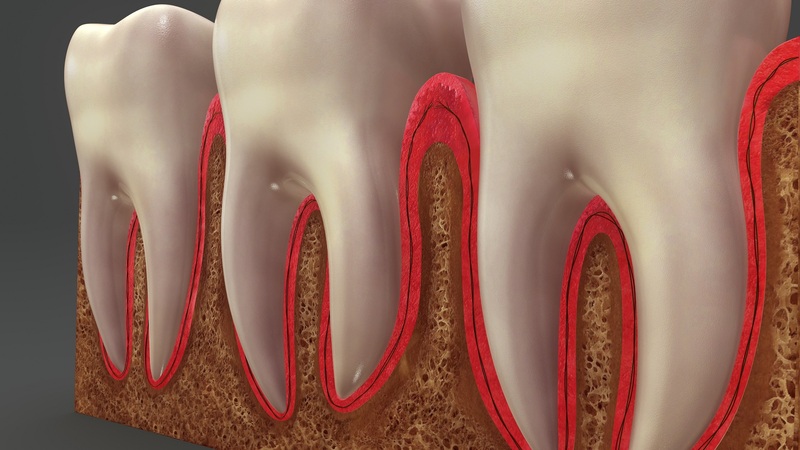 How do you recognize periodontal disease? You should be aware of any changes to your gum tissue. For example, do they appear redder than usual, especially near the teeth? Do they appear swollen or feel sore? Do you experience bleeding when you brush or floss? If one or more of these possible symptoms applies to you, then you should undergo a diagnosis. These are often warning signs of gingivitis or the early stages of gum disease. Gum disease begins as inflammation, also known as gingivitis. The inflammation can form due to poor oral hygiene, which can allow plaque buildup to accumulate and irritate the gum tissue. Smoking, family history, chronic illness, and certain medications can also increase the risk of inflammation. In the gingivitis stage, the issue can be reversed. Hover, once gum disease forms we cannot cure it, instead we can manage the disease to protect your smile from the advanced stages, which can often lead to adult tooth loss. For the early stages, we may perform a periodontal cleaning, which involves removing all plaque and tartar from the surface of the teeth and the roots. For more severe cases, we need to recommend gum grafts or bone grafts to replace receded tissue or deteriorated bone tissue. If you have any questions about treating the disorder, then contact our team today. We can provide solutions to keep your smile beautiful and healthy, even if you suffer from gum inflammation. For more information, schedule a consultation by calling Modern Smile in North Hollywood, CA, today at 818-763-9353. We also proudly serve patients who live in Burbank, Toluca Lake, and all surrounding communities.